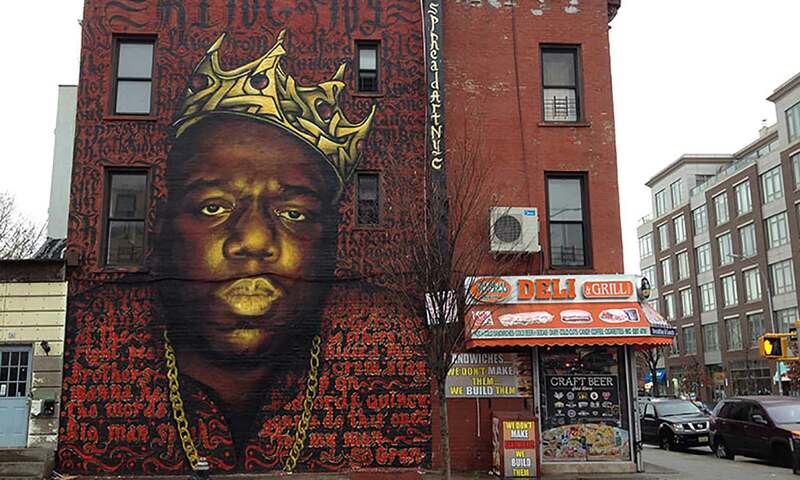 The image above is of a 3-story mural of Biggie Small at 1091 Bedford Avenue in Brooklyn. This mural is astonishing in its height, boldness, beauty, and in its Bed-Stuy setting. It was going to be painted over but has been saved. A story about it here. Cecilia Dougherty is a video artist, photographer, and writer. 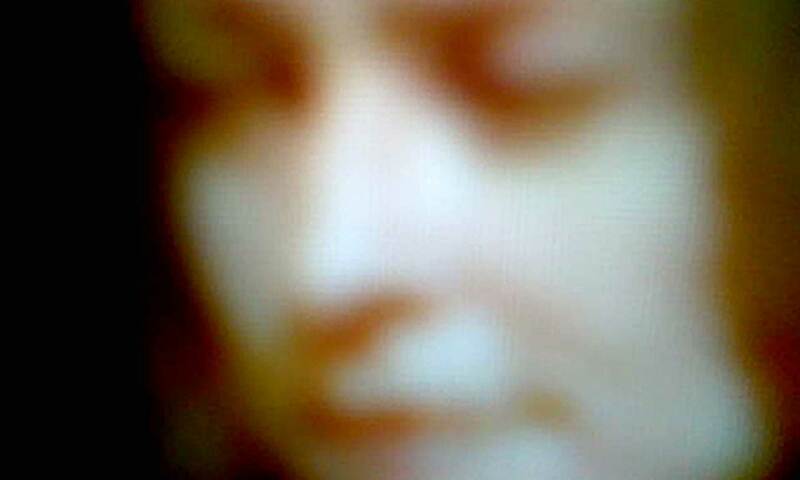 She has screened and exhibited her work in numerous film festivals, galleries and museums internationally for over twenty-five years. Her videos are included in many university film collections and are archived at the Pacific Film Archive in Berkeley. In addition to explorations in electronic media itself, her themes range from lesbian and female sexual identity to family psychologies and the outsider experience of popular culture. She has written stories and book chapters for a range of publications including: “Writers Who Love to Much: New Narrative: 1977-1997” (2017); “From Site to Vision: The Woman’s Building in Contemporary Culture (2011); and “Radical Light: Alternative Film and Video in the San Francisco Bay Area, 1945-2000” (2010). She has contributed articles, interviews, and other writing to a wide range of publications from chapbooks to contemporary art periodicals. Much of her writing is about film, video and the contemporary cultural moment. She has published poetry and short stories as well. 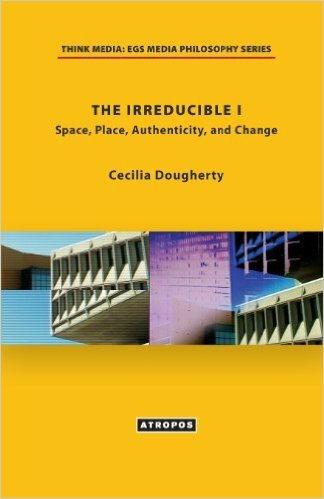 In 2013, Dougherty published her first book entitled “The Irreducible I: Space, Place, Authenticity, and Change,” which examines subjectivity using a mix of disciplines from film and art to architecture and social sciences in order to create a map of individual space within continually changing social spaces. “The Irreducible I” is based on her PhD dissertation. Her current work includes a collaboration with artist David Dasharath Kalal in the creation of an online artspace called In-Between Theories (2017, ongoing), the theme of which is the investigation of the familiar territory of the everyday. In-Between Theories is a consideration of a space/time of poetic alliances, networked histories, and connections that exist within the interstitial spaces of allied creative activity. The collaborative effort has resulted in the curation of a film festival program and live performance, with panel discussion, for the New York MIX Festival (2017), and the commission of a browser-based art piece by Ukrainian artist Luba Drozd. Dougherty and Kalal have also set up a podcast, called In-Between Theories, in which they are interviewing artists in relation to the theme of interstitial spaces in film and electronic media. She is currently writing a feature film script based on the award-winning novel “Zipper Mouth” by Laurie Weeks. Dougherty teaches in the Media Culture Department at the College of Staten Island, CUNY and in Media Studies at the New School University. She has a PhD in Media Philosophy. The Irreducible I: Space, Place, Authenticity, and Change by Cecilia Dougherty, Atropos Press, 2013. Now available in KINDLE version as well!